You Bred Raptors? is an instrumental three-piece avant-garde, “prehistoric post-rock” band from New York. The band includes the eclectic combination of eight-string bass guitar player Peat Rains (also of videogame music cover band This Place is Haunted), classically-trained cellist Bryan Wilson, and progressive/jazz drummer Patrick Bradley. If you frequent the Big Apple’s subways, chances are you may have come across their masked visages as they busk to 50-60,000 people throughout the day. 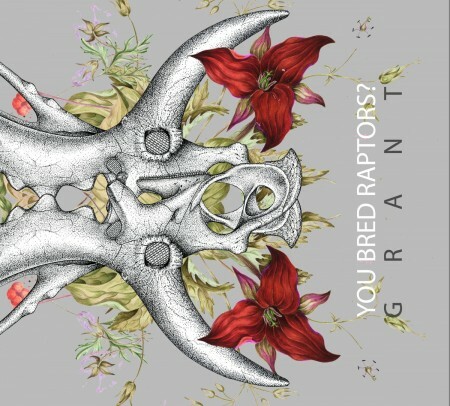 Grant marks the band’s third outing after albums Muldoon and Hammond, continuing the band’s trend of referencing Jurassic Park both in their music and their aliases. I bumped into You Bred Raptors? / This Place is Haunted bassist Peat Rains following a Devin Townsend Project/Animals as Leaders show in New York City. After a little chat and without any solid word on whether I would even be able to review Grant for Game Music Online, he thrust his band’s Jurassic Park-inspired CD into my hands and went on his way. I was only familiar with the myriad of classic TV show and videogame music covers that This Place is Haunted is known for, so I went into this album with only that kind of sound in mind, hardly expecting the unique instrumental concoction that awaited me. Right from the onset, I was lulled in with “Erosion,” a fairly moody intro track featuring significant amounts of cello, glockenspiel and cymbal flourishes. This is followed up by “Hazmat,” which has a great build-up into the main guitar melody. Calling it a “guitar melody” would be stretching the truth a tad, however. The band could have easily fooled me into thinking they had a secret fourth member that contributed guitar parts to this album. It turns out that every guitar-esque effect that occurs is thanks to Rains’ eight-string bass. With his multitude of effects pedals he gets the range of a piano. Using two-handed tapping he’s able to do bass and treble at the same time. It’s an impressive feat that further adds to the band’s unique, pseudo-orchestral sound. “Saloon” switches things up with a catchy opening bass line and a beat one could liken to something straight out of The Bee Gees, sans the whole disco being dead thing. The track lives up to its namesake, featuring a fun vibe that could be likened to a hang-out at a saloon. The inviting feeling then leads into a bit of a chaos with its outro. This is what could be dubbed the song’s “bar fight” moment, featuring a flurry of crash hits and a heavy metal ending. This brief bout of heaviness craftily segues right into the softer “Goliath,” a sweeter, waltz-like piece in which the cello reigns supreme. I instantly thought of Braid while listening to it. The track “Boomerang” follows, and demonstrates the band’s neat grooves, featuring some sick hi-hat double-stroke rolls and cello/bass unison. There was something about “Boomerang” track that instantly reminded me of Amon Tobin’s Splinter Cell: Chaos Theory soundtrack. It could be the notes the cello hits here — it made me wonder if this is what that soundtrack’s jam sessions would have been like sans Tobin’s remixing. “Temblor” is the album’s heaviest and most dynamic track, opening with an intro very reminiscent of classic Black Sabbath and featuring plenty of heavy crash cymbal hits. The main refrain is especially dramatic thanks to the cello taking the forefront during the intensity. This leads into a softer moment where the glockenspiel takes the lead and builds things up again back to that chilling refrain. Rounding out the final moments of the album are tracks like “Moonshine,” a fun, folk-like number, “Yukon,” which references the earlier “Hazmat” track as a way of bringing the album to a full circle and the upbeat, yet relaxed “Papoose,” a song that greatly contrasts with Grant’s moody opening. Grant is an interesting exercise in uniqueness — one that will need repeated listens to truly appreciate. If you have a knack for the avant-garde, or you’re desperately searching for a new sound, it’ll be right up your alley. It’s so chock-full of genres spanning jazz, folk, orchestral and heavy metal that it’s really impossible to put a fitting one-word genre on it. We’ll have to make do with the band’s self-proclaimed “prehistoric post-rock” identifier. In any case, I hope to randomly come across this band busking, or better yet, catch a show in some poorly-lit side-pub in New York City. For a list of their upcoming shows, check out their Bandcamp site. 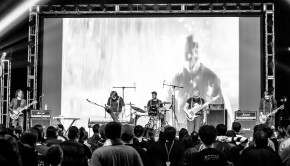 You can also read my MAGFest 13 interview with Peat Rains right here at Game Music Online. 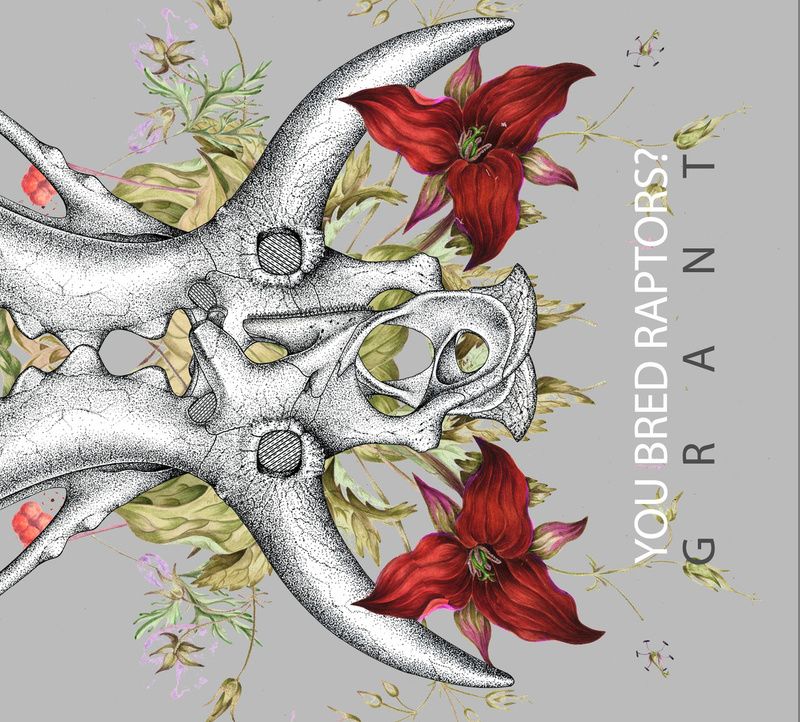 Grant by You Bred Raptors? Posted on March 12, 2015 by Patrick Kulikowski. Last modified on January 19, 2016. Tags: Peat Rains, You Bred Raptors? Third album. You forgot Muldoon!